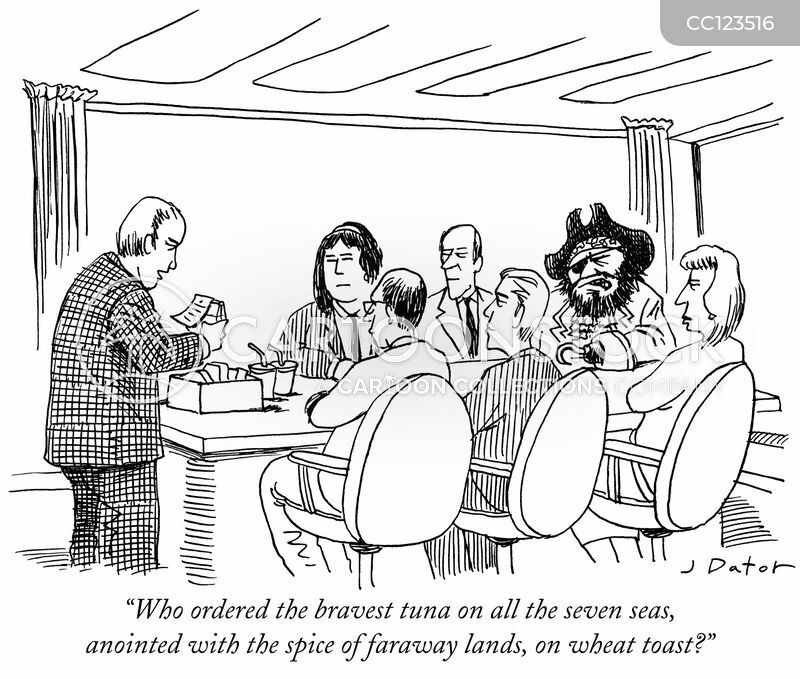 "It's my family coat of arms, Joe-smoked salmon couchant on a field of cream cheese." 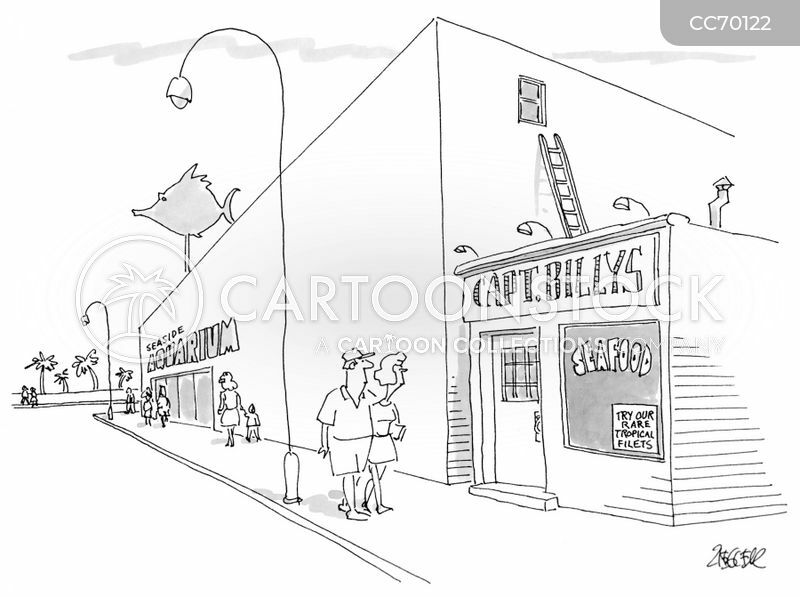 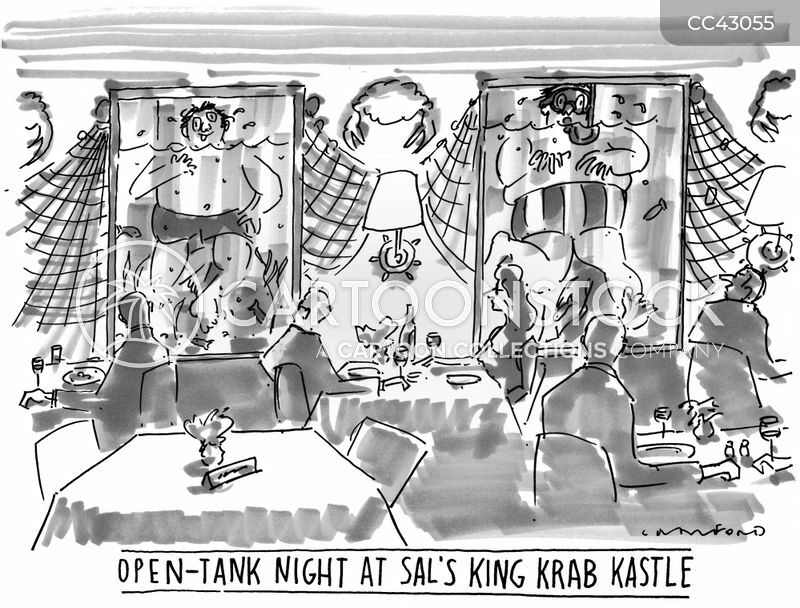 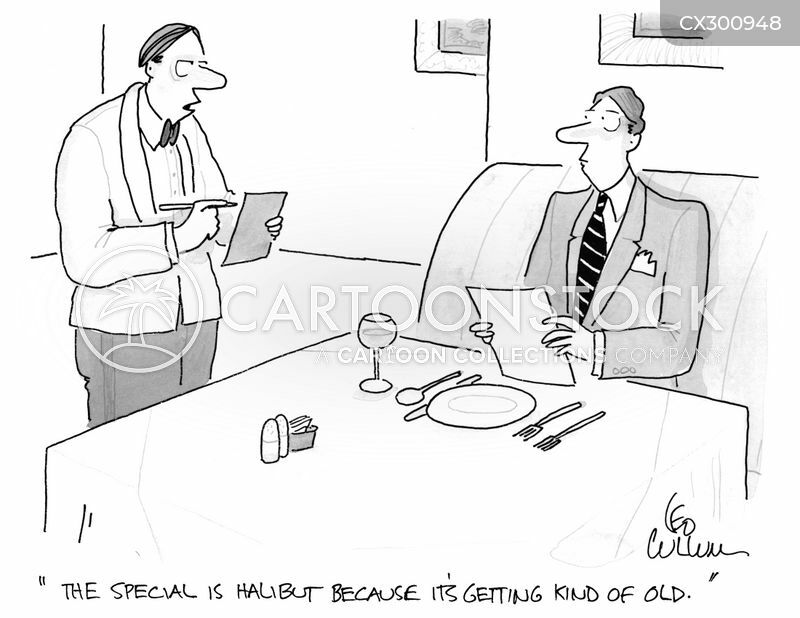 "The special is halibut because It's getting kind of old." 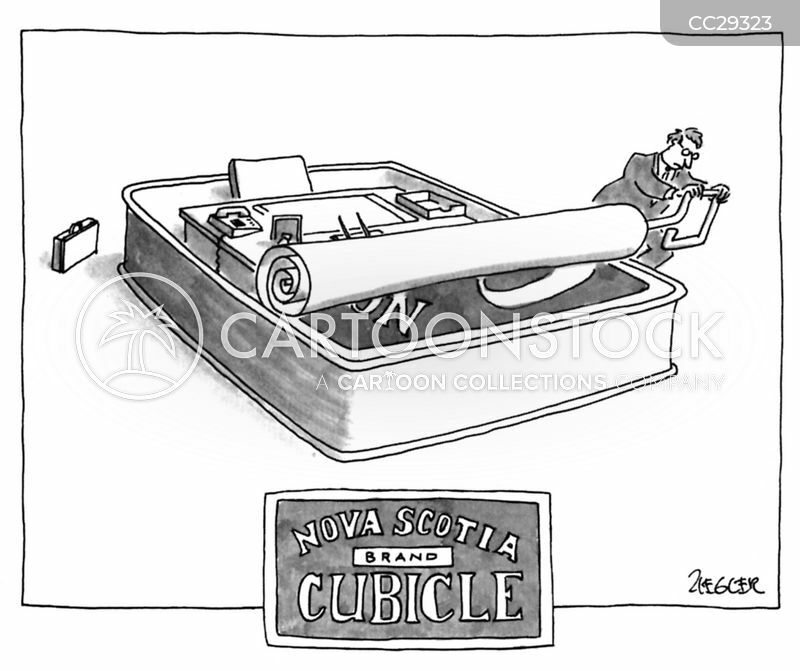 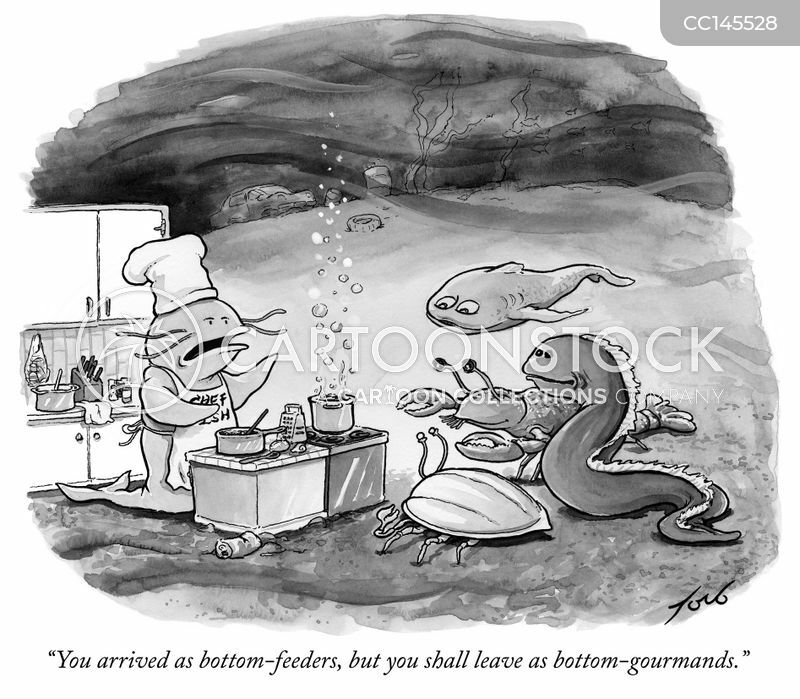 "You arrived as bottom-feeders, but you shall leave as bottom-gourmands." 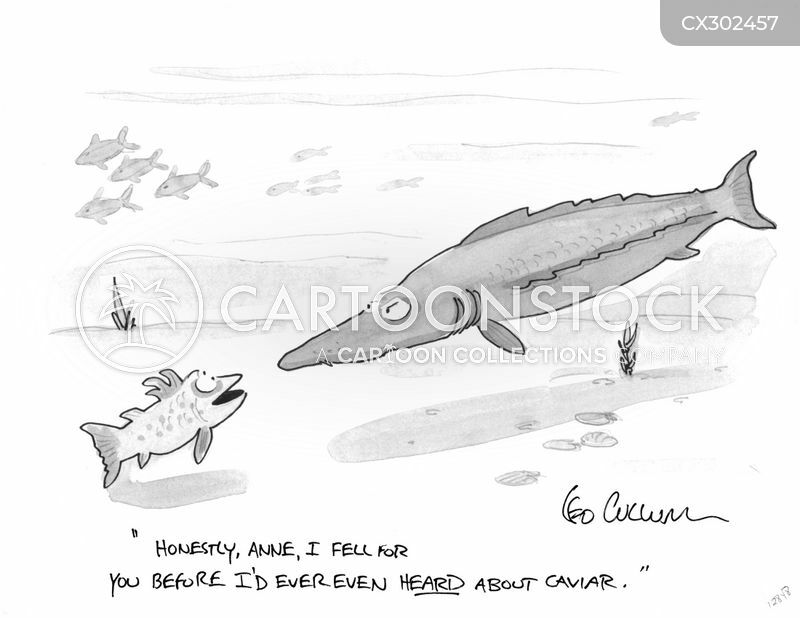 "Honestly, Anne, I fell for you before I'd ever even heard about caviar." 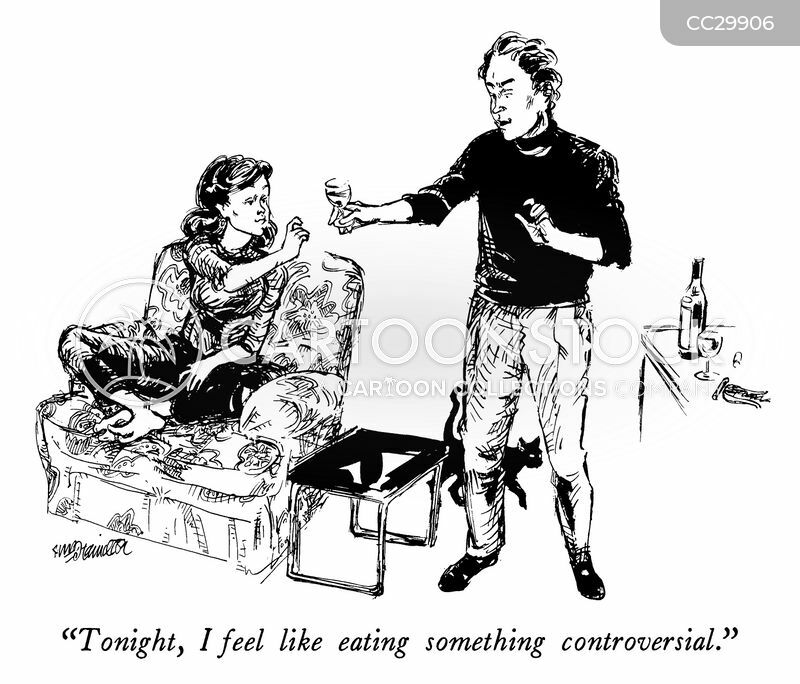 "Tonight, I feel like eating something controversial." 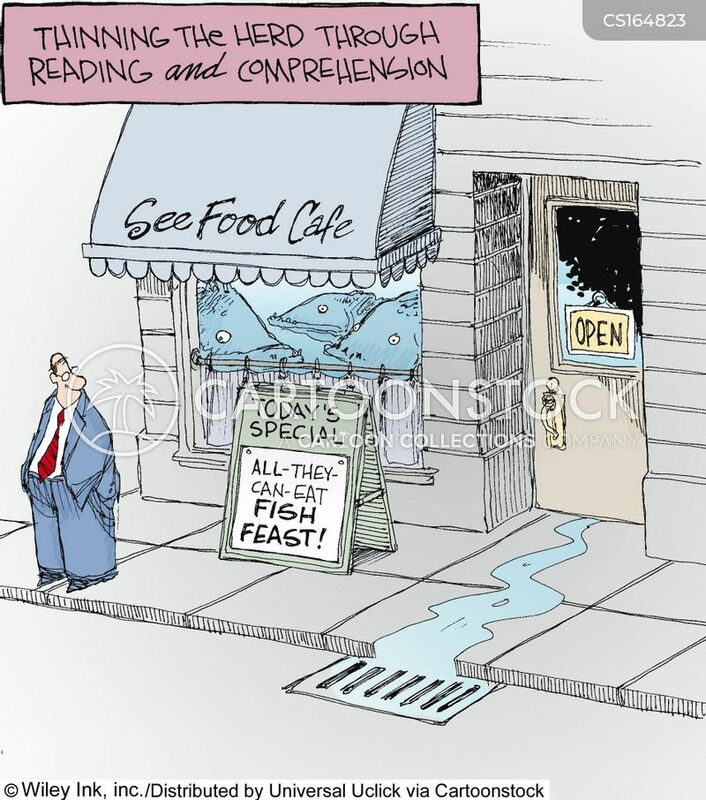 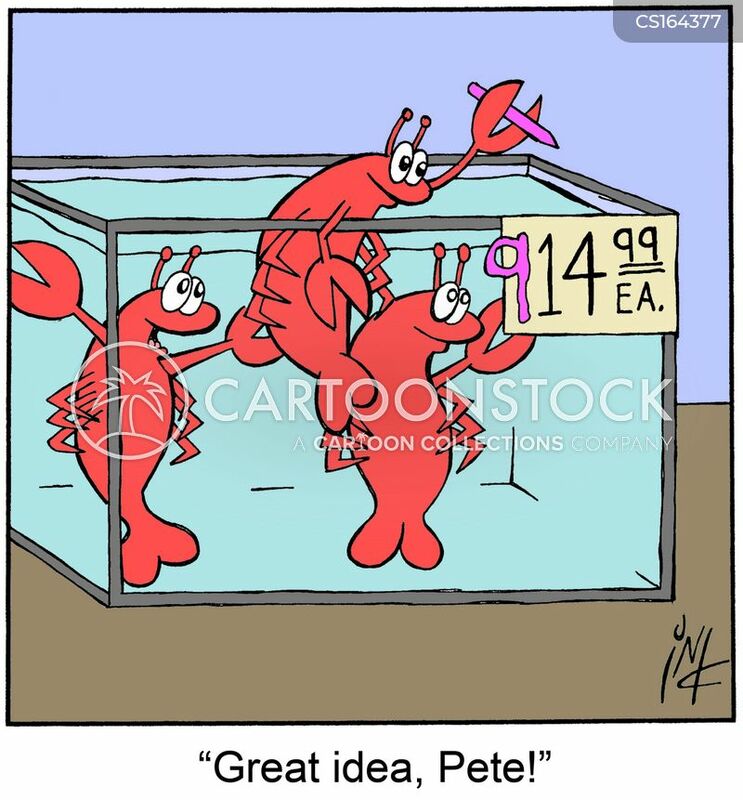 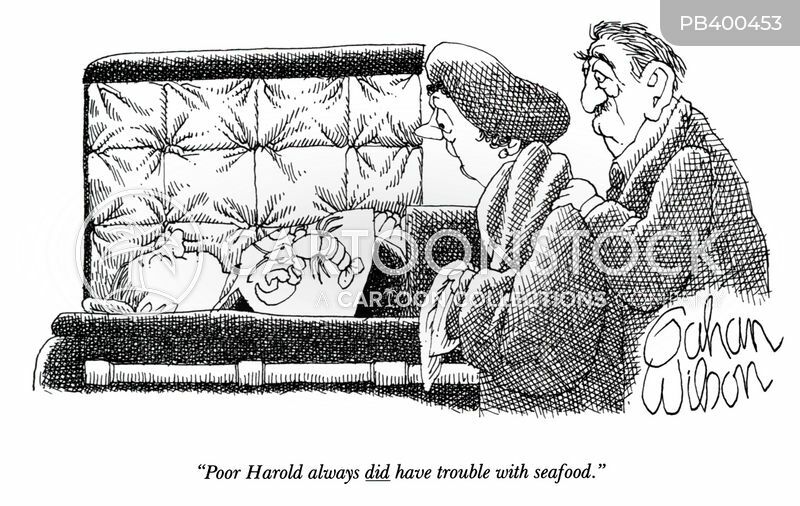 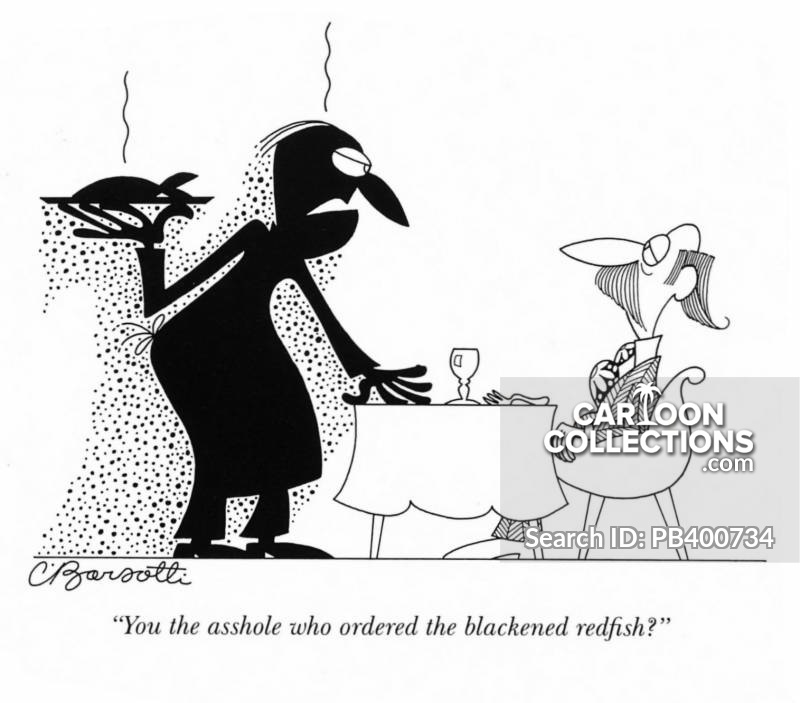 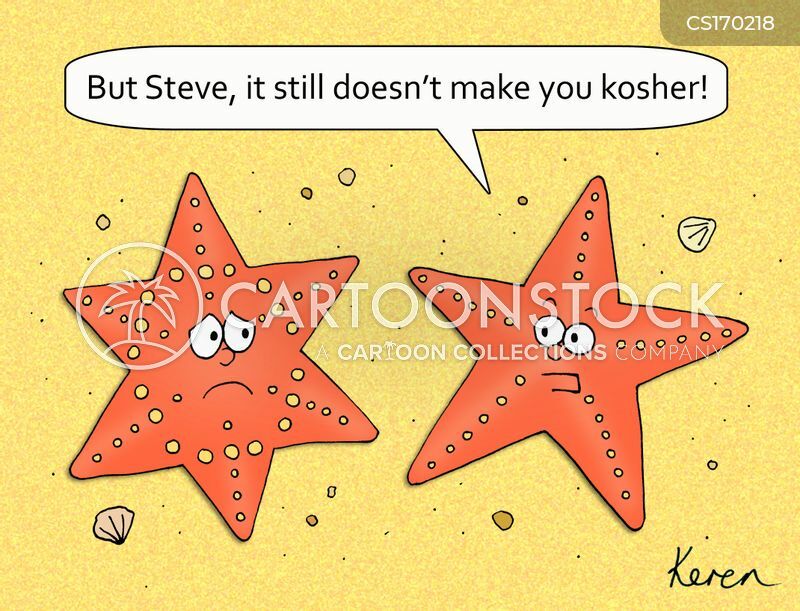 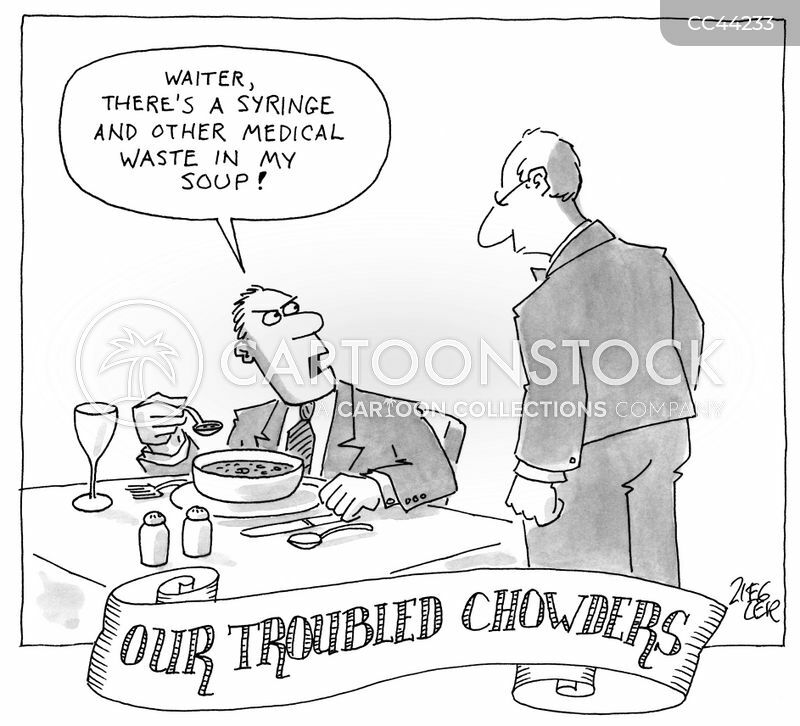 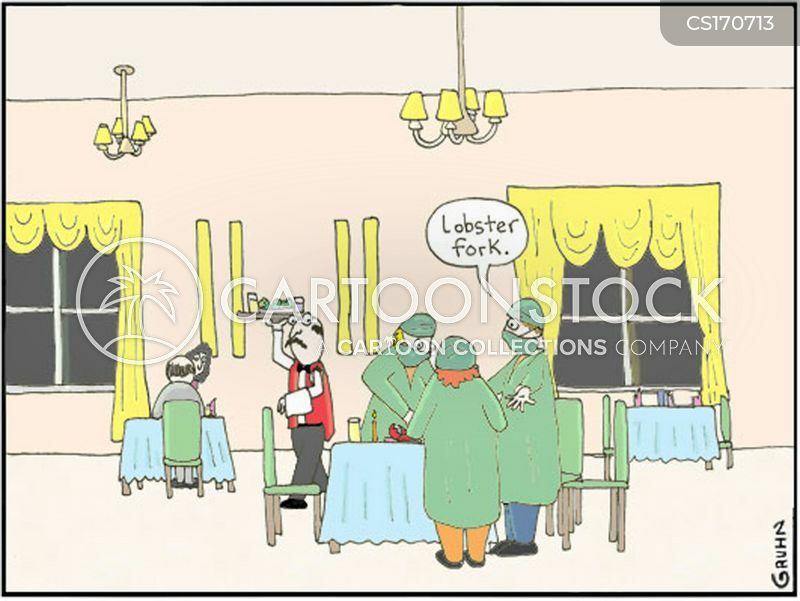 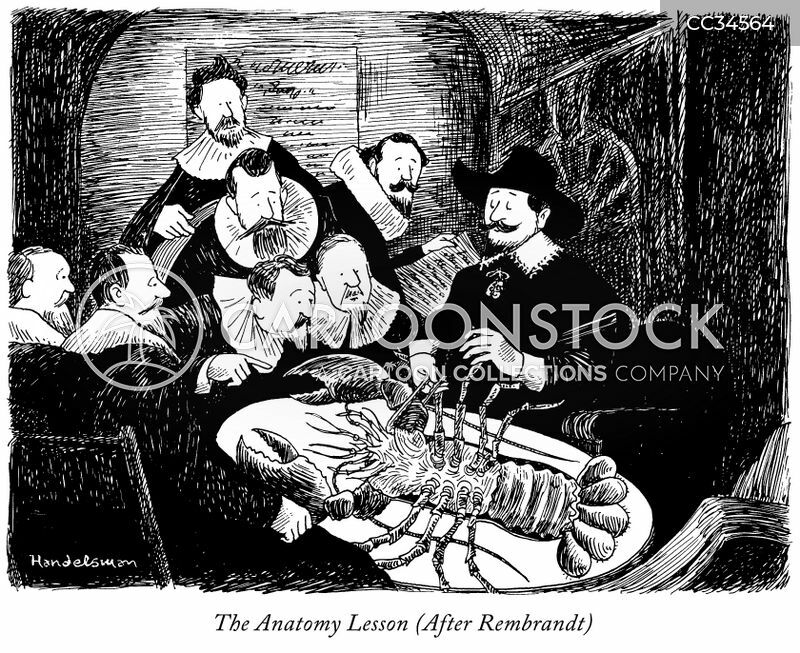 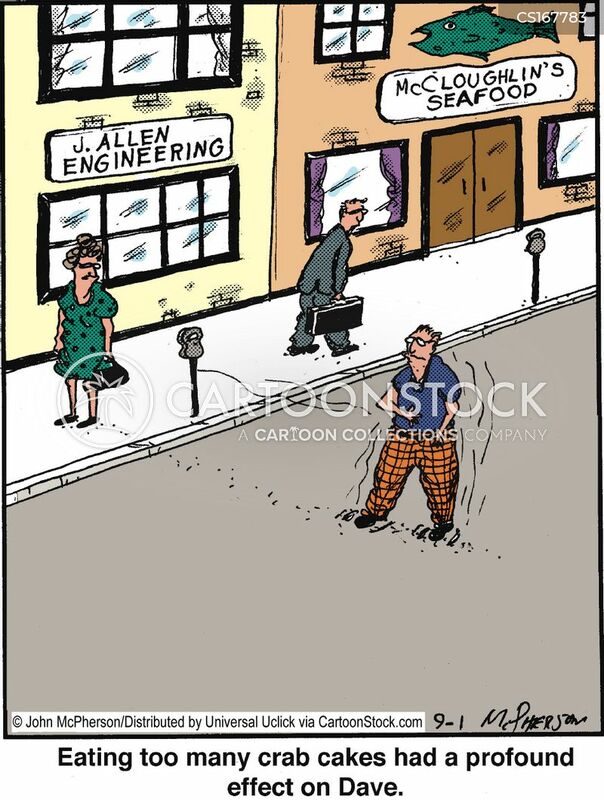 "Poor Harold always did have trouble with seafood." 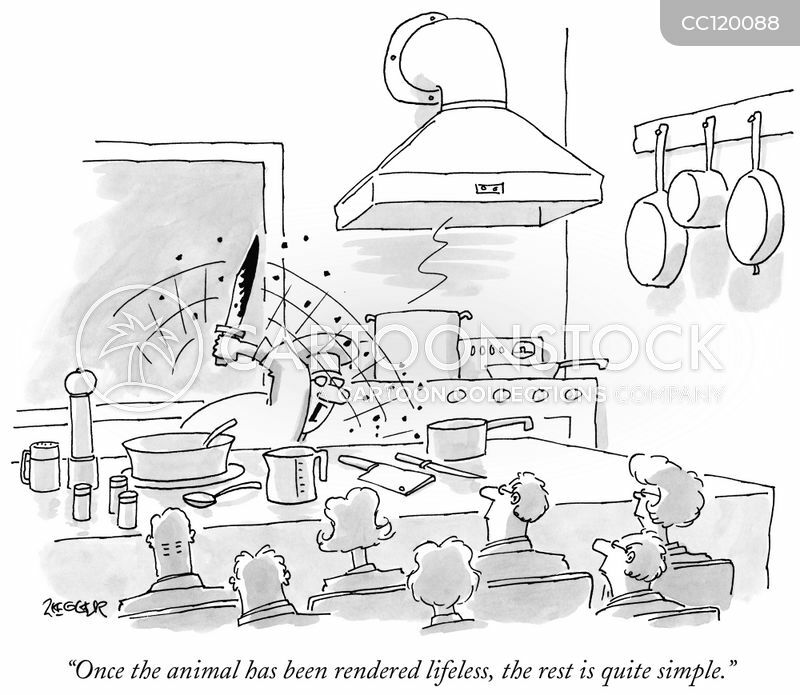 "Once the animal has been rendered lifeless, the rest is quite simple." 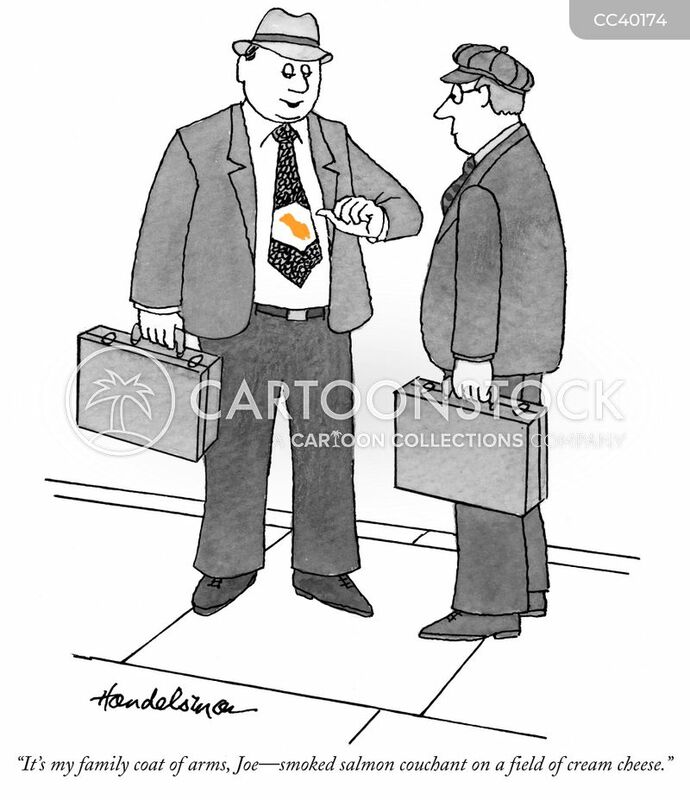 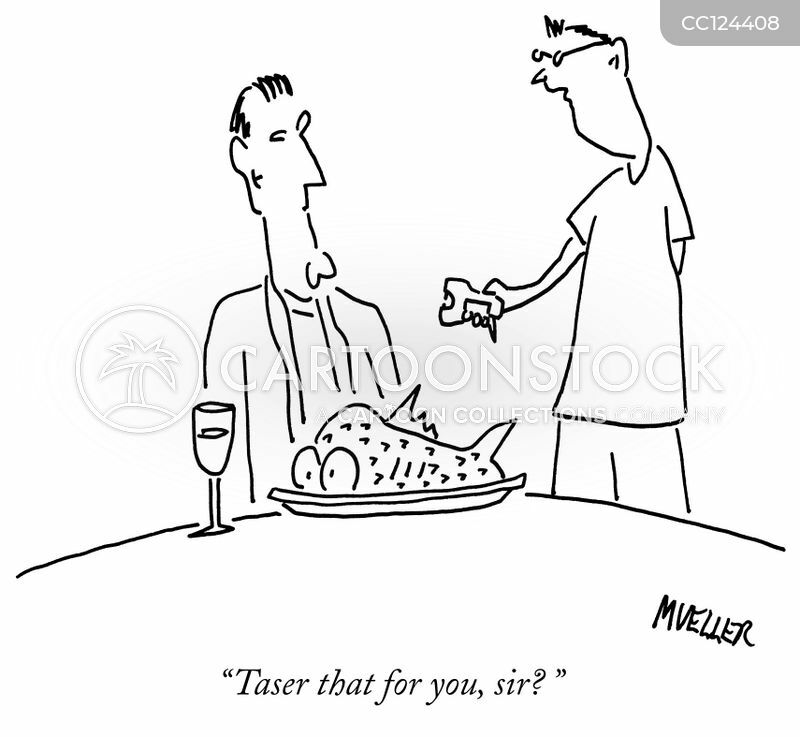 "Taser that for you, sir?" 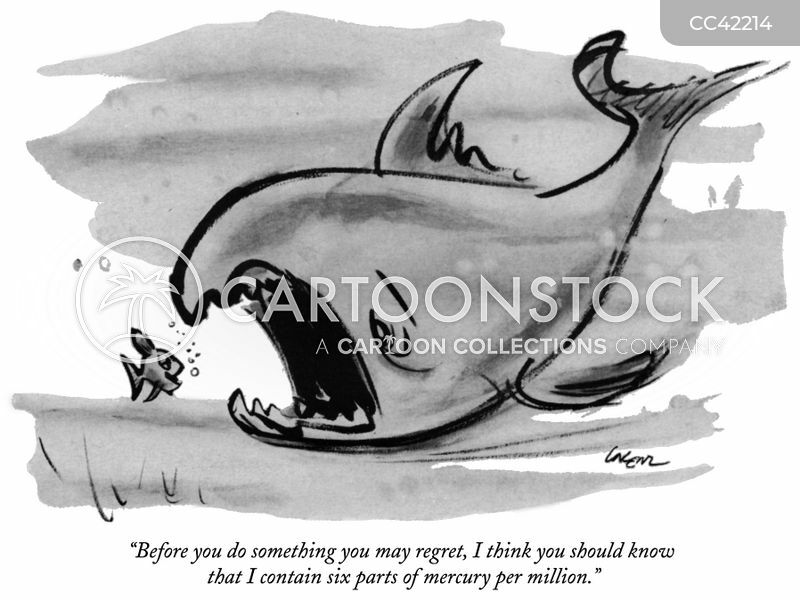 "I think you should know that I contain six parts mercury per million." 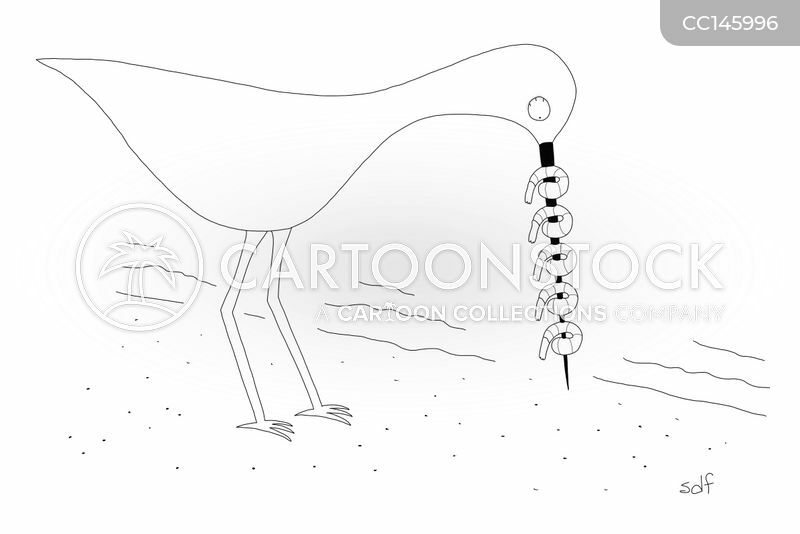 A bird uses his long thin beak to skewer shrimp like a shish kabob. 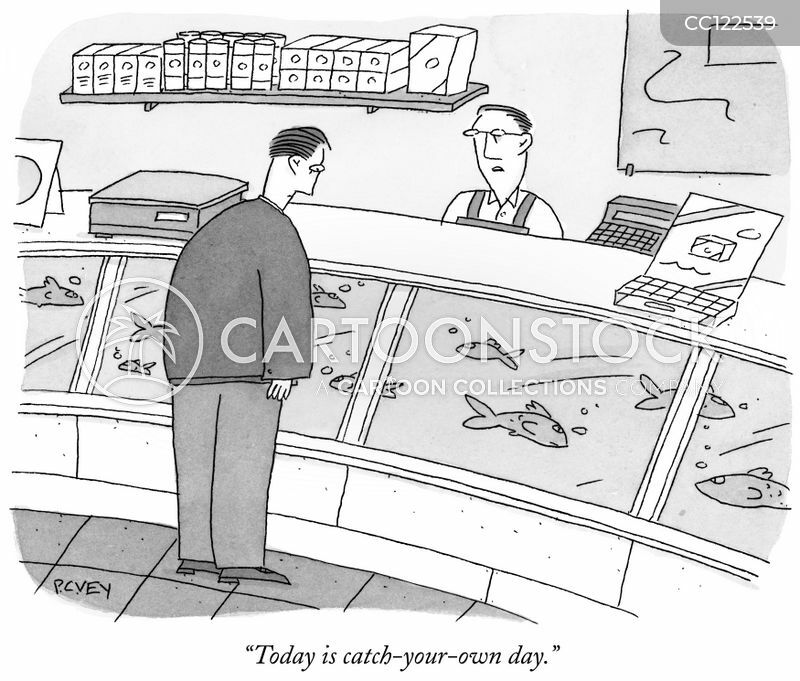 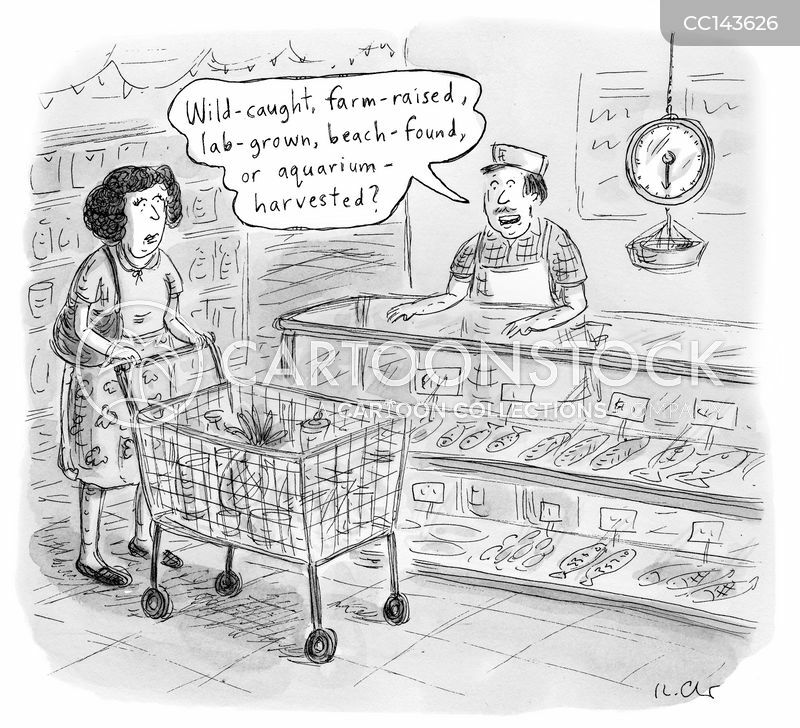 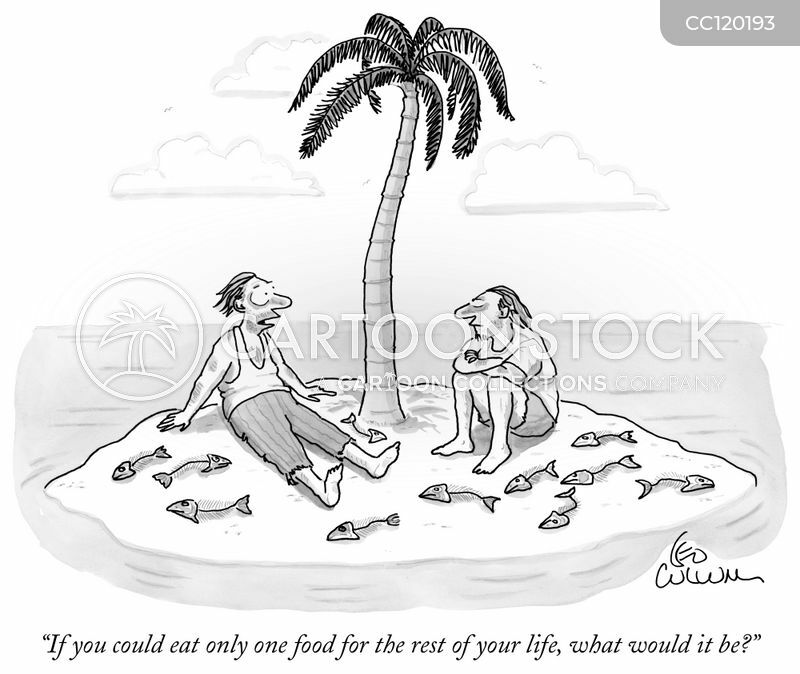 "Wild-caught, farm-raised, lab-grown, beach-found, or aquarium-harvested."